The anticipation was growing, and by the time we pulled up the dirt road at Sheldrick’s we could hardly contain ourselves. 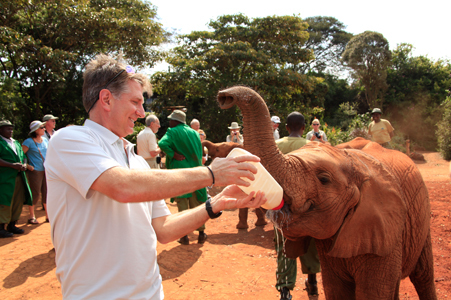 The day had come, the moment was near - we were all about to meet our adopted baby elephants face to face! Two days before I left home to lead this very special Travcoa's 2011 President's Journey: Grand Safari to Kenya & Tanzania, my September 2011 issue of National Geographic arrived in the mail, featuring an entire article on the very elephants we were about to meet, titled Orphans No More. 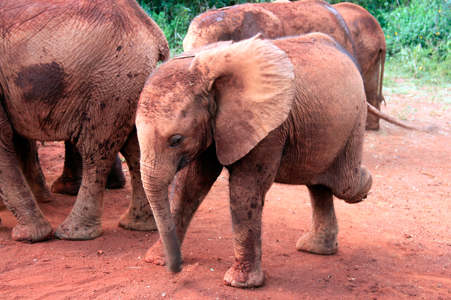 The baby elephant featured on the lead page was in fact Travcoa's own adopted elephant, Shukuru! 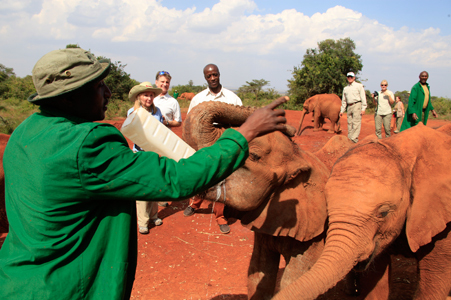 We gathered round the feeding stations where caretakers held big full bottles. 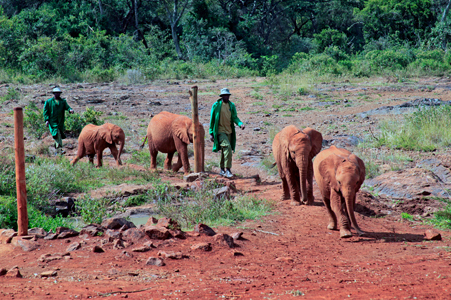 Then, the first group of baby elephants came happily down the path toward us. It all happened so fast - these were the youngest bunch, still learning their way, and the next thing we knew there was milk everywhere as the babies eagerly emptied the bottles fumbling and slurping for every last drop. Then, they were escorted out as quickly as they came. But wait! The next group was not far behind, and these babies had been around longer and had somewhat better manners as more of us got to hold bottles and meet our own adopted elephants. They are a tough act to follow, for sure. 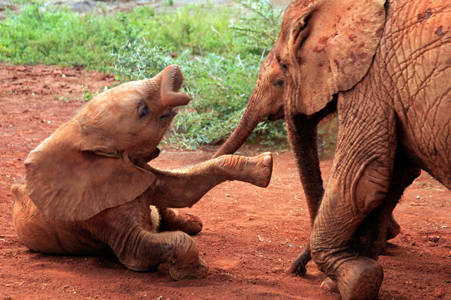 The good news is, you don't have to travel all the way to Africa to foster an orphaned elephant! You can read all about the elephants and select your own online here, at David Sheldrick Wildlife Trust Orphan Project. But should you already be in Kenya, then there's no better place to learn more about elephants in the wild than Amboseli National Park, and a visit to the Cynthia Moss Research Station (Amboseli Trust for Elephants). If we could have stayed all week, we'd never have tired of hearing stories from Field Researcher Vicki Fishlock, who hosted us and enthralled us with her knowledge and enthusiasm. 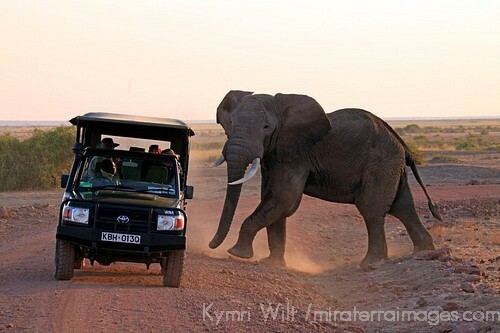 Of course, there is no shortage of opportunity in Amboseli to observe elephants in the wild, and sometimes the encounters are quite close! Whether up close or from a distance, spending some time watching a matriarch and her family is a real treat, especially when there is a very young one at her side. 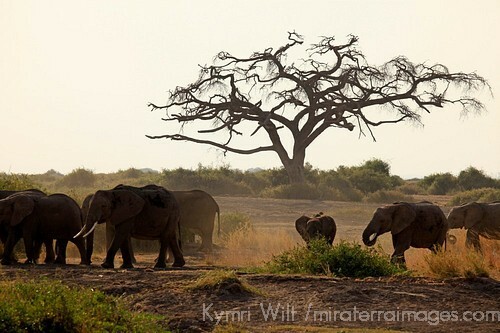 I think I could go back to Africa again and again and again and never tire of watching elephants. 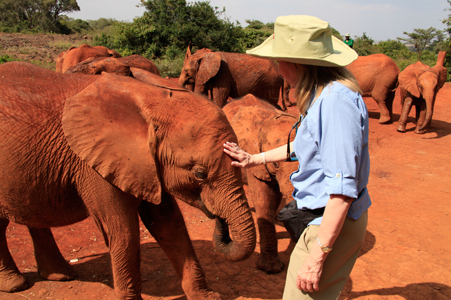 But for as much wonder and heartfelt joy that I get watching elephants in the wild, nothing will ever compare to the few precious moments experienced with the orphaned elephants at David Sheldricks. That was truly one of the greatest highlights of my life. And guess what....I'm already planning a return in 2012. What an extraordinary experience! 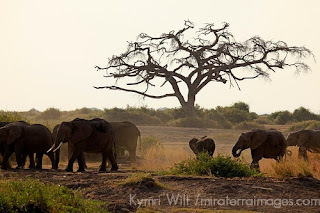 Kenya has been on my bucket list for years and now so will Amboseli National Park and the Cynthia Moss Research Station! I loved this post! I went to Ambroseli in November and fell in love with the elephants there. I didn't realize there was an elephant orphanage.